Struggling giants Fenerbahce stunned Istanbul rivals Besiktas to fight back from 3-0 down for a 3-3 draw and earn a point in their battle to avoid relegation from the Turkish Super Lig. 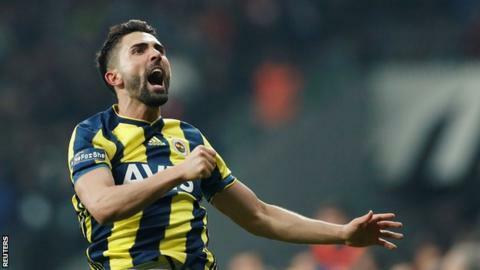 Nineteen-time champions Fenerbahce, who finished second last season, trailed to goals from home pair Gokhan Gonul and Burak Yilmaz after just 18 minutes. Yilmaz added a penalty in stoppage time before Fenerbahce - who brought on former France midfielder Mathieu Valbuena and on-loan Swansea forward Andre Ayew at half-time - responded with three goals in 12 second-half minutes. Miha Zajc started the fightback on 55 minutes, with Sadik Ciftpinar and Hasan Ali Kaldirim also netting past on-loan Liverpool keeper Loris Karius to complete an extraordinary turnaround. Neither side managed to find a dramatic winner, despite almost 10 minutes of injury time. Fenerbahce move up to fifth from bottom, a point clear of safety, while third-placed Besiktas remain eleven points adrift of leaders Istanbul Basaksehir.